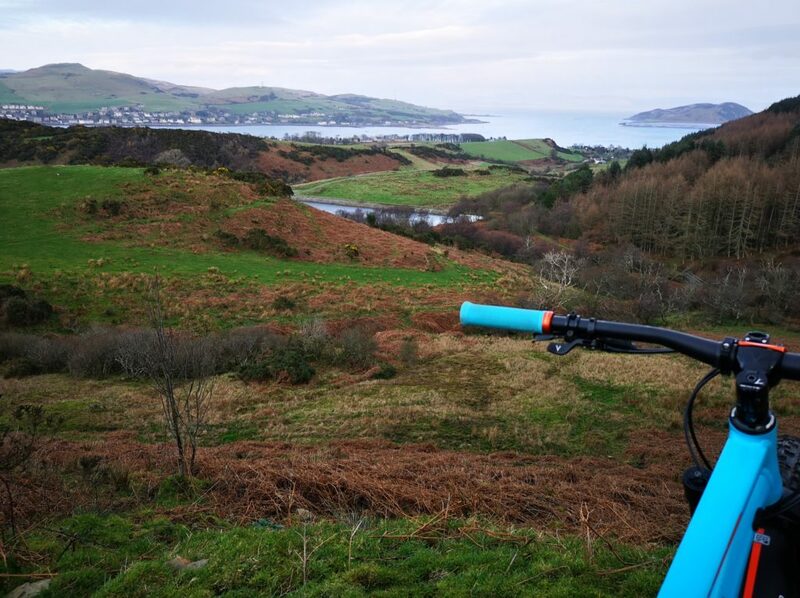 Many New Year’s resolutions aim to improve people’s health and one Kintyre resident believes mountain biking is the perfect resolve for 2019. Aaron O’Hanlon, from Tayinloan, thinks the trails catering for riders of all abilities on Campbeltown’s Bengullion are ‘amazing’ assets which are undervalued. He told the Courier: ‘I generally ride my mountain bike on forest roads throughout Kintyre but I was invited by a friend to try the trails at Bengullion. ‘I was blown away by them and amazed that I hadn’t heard more about them. He took this photograph of the town and Davaar with his Huawei P20 Pro smartphone during one of his latest mountain biking trips.